They bring as much of their prior experience as possible to bear in formulating their initial decision spaces and determining the sorts of data they will consider in making the decision. For big, important decisions, they adopt decision criteria that minimize the maximum risk. They constantly evaluate new data to determine how well a decision is working out, and they do not hesitate to modify the decision as needed. A key concept of statistical process control and continuous improvement is the importance of closing the feedback loop that allows a process to monitor itself, learn from its mistakes, and adjust when necessary. The importance of building feedback loops into data-driven decision making is too often ignored. 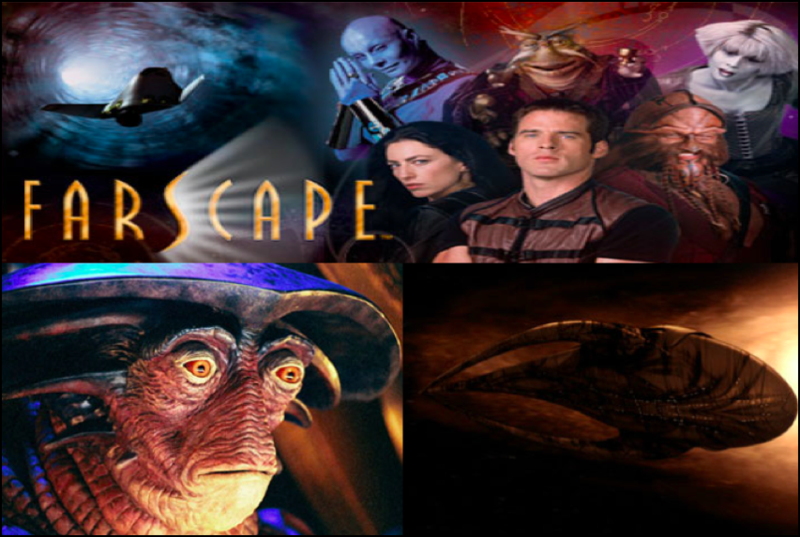 Farscape was one of my all-time favorite science fiction television shows. In the weird way my mind works, the recent blog post (which has received great comments) Four Steps to Fixing Your Bad Data by Tom Redman, triggered a Farscape analogy. The key word for me was tendrils — like I said, my mind works in a weird way. On Farscape, the central characters of the show travel through space aboard Moya, a Leviathan, which is a species of living, sentient spaceships. Pilot is a sentient creature (of a species also known as Pilots) with the vast capacity for multitasking that is necessary for the simultaneous handling of the many systems aboard a Leviathan. The tendrils of a Pilot’s lower body are biologically bonded with the living systems of a Leviathan, creating a permanent symbiotic connection, meaning that, once bonded, a Pilot and a Leviathan can no longer exist independently for more than an hour or so, or both of them will die. Leviathans were one of the many laudably original concepts of Farscape. The role of the spaceship in most science fiction is analogous to the role of a boat. In other words, traveling through space is most often imagined like traveling on water. However, seafaring vessels and spaceships are usually seen as a technological object providing transportation and life support, but not actually alive in its own right (despite the fact that both types of ship are usually anthropomorphized, and usually as a female). Because Moya was alive, when she was damaged, she felt pain and needed time to heal. And because she was sentient, highly intelligent, and capable of communicating with the crew through Pilot (who was the only one who could understand the complexity of the Leviathan language, which was beyond the capability of a universal translator), Moya was much more than just a means of transportation. In other words, there truly was a symbiotic relationship between, not only Moya and Pilot, but also between Moya and Pilot, and their crew and passengers. Although technically not alive in the biological sense, in many respects, an organization is like a living, sentient organism, and like space and seafaring ships, often anthropomorphized. An enterprise is much more than just a large organization providing a means of employment and offering products and/or services (and, in a sense, life support to its employees and customers). As Redman explains in his book Data Driven: Profiting from Your Most Important Business Asset, data is not just the lifeblood of the Information Age, data is essential to everything the enterprise does, from helping it better understand its customers, to guiding its development of better products and/or services, to setting a strategic direction toward achieving its business goals. So the symbiotic relationship between Enterprise and Data is analogous to the symbiotic relationship between Moya and Pilot. Data is the Pilot of the Enterprise Leviathan. The enterprise can not survive without its data. A healthy enterprise requires healthy data — data of sufficient quality capable of supporting the operational, tactical, and strategic functions of the enterprise. So the relationship between an enterprise and its data, and its people, business processes, and technology, is analogous to the relationship between Moya and Pilot, and their crew and passengers. It is the enterprise’s people, its crew (i.e., employees), who, empowered by high quality data and enabled by technology, optimize business processes for superior corporate performance, thereby delivering superior products and/or services to the enterprise’s passengers (i.e., customers). So why isn’t data viewed as an asset? So if this deep symbiosis exists, if these intertwined and symbiotic relationships exist, if the tendrils of data are biologically bonded with the complex enterprise ecosystem — then why isn’t data viewed as an asset? Perhaps that is why data isn’t viewed as an asset. Perhaps data has so thoroughly pervaded the enterprise that it has become invisible to those who use it. Perhaps it is not an asset because data is invisible to those who are so dependent upon its quality. Perhaps we only see Moya, but not her Pilot. Dr. Thomas C. Redman (the “Data Doc”) is an innovator, advisor and teacher. He was first to extend quality principles to data and information in the late 80s. Since then he has crystallized a body of tools, techniques, roadmaps and organizational insights that help organizations make order-of-magnitude improvements. 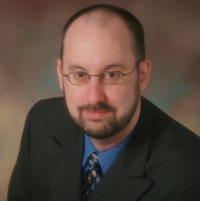 On this episode of OCDQ Radio, Tom Redman and I discuss concepts from his Data Governance and Information Quality 2011 post-conference tutorial about organizing for data quality, which includes his call to action for your role in the data revolution. Data Quality (DQ) Tips is a new regular segment. Each DQ-Tip is a clear and concise data quality pearl of wisdom. 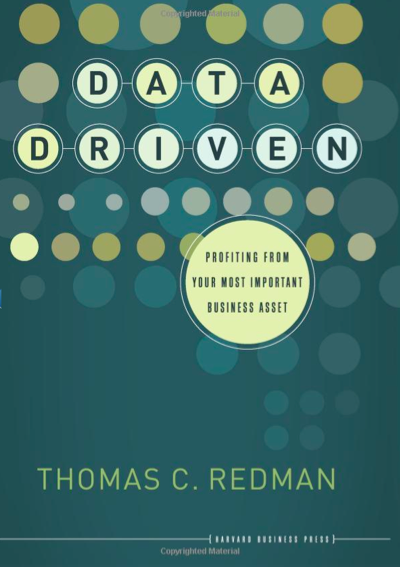 This DQ-Tip is from Thomas Redman's excellent book Data Driven: Profiting from Your Most Important Business Asset. In the book, Redman explains that this advice is a rewording of his favorite data quality policy of all time. Assuming that it is someone else's responsibility is a fundamental root case for enterprise data quality problems. One of the primary goals of a data quality initiative must be to define the roles and responsibilities for data ownership and data quality. In sports, it is common for inspirational phrases to be posted above every locker room exit door. Players acknowledge and internalize the inspirational phrase by reaching up and touching it as they head out onto the playing field. Perhaps you should post this DQ-Tip above every break room exit door throughout your organization? DQ Problems? Start a Data Quality Recognition Program! One way to address the dirty lake water is to clean it up...by running the water through filters, passing it through specially designed settling tanks, and using chemicals to kill bacteria and adjust pH. The alternative is to reduce the pollutant at the point source – the factories. Reactive Data Quality (i.e. “cleaning the lake” in Redman's analogy) focuses entirely on finding and fixing the problems with existing data after it has been extracted from its sources. An obsessive-compulsive quest to find and fix every data quality problem is a laudable but ultimately unachievable pursuit (even for expert “lake cleaners”). Data quality problems can be very insidious and even the best “lake cleaning” process will still produce exceptions. Your process should be designed to identify and report exceptions when they occur. In fact, as a best practice, you should also include the ability to suspend incoming data that contain exceptions for manual review and correction. Proactive Data Quality focuses on preventing errors at the sources where data is entered or received, and before it is extracted for use by downstream applications (i.e. “enters the lake” in Redman's analogy). Proactive data quality advocates reevaluating business processes that create data, implementing improved controls on data entry screens and web forms, enforcing the data quality clause (you have one, right?) of your service level agreements with external data providers, and understanding the information needs of your consumers before delivering enterprise data for their use. Proactive data quality is clearly the superior approach. Although it is impossible to truly prevent every problem before it happens, the more control that can be enforced where data originates, the better the overall quality will be for enterprise information. So why do the vast majority of data quality initiatives use a reactive approach? While his friends went off in a frantic search for these answers, the man slowly, and painfully, dies. In economics, the term “flight to quality” describes the aftermath of a financial crisis (e.g. a stock market crash) when people become highly risk-averse and move their money into safer, more reliable investments. A similar “flight to data quality” can occur in the aftermath of an event when poor data quality negatively impacted decision-critical enterprise information. Some examples include a customer service nightmare, a regulatory compliance failure, or a financial reporting scandal. Driven by a business triage for critical data problems, reactive data cleansing is purposefully chosen over proactive defect prevention. The priority is finding and fixing the near-term problems rather than worrying about the long-term consequences of not identifying the root cause and implementing process improvements that would prevent it from happening again. The enterprise has been shot with an arrow thickly smeared with poison – poor data quality. Now is not the time to point out that the enterprise has actually shot itself by failing to have proactive measures in place. Reactive data quality only treats the symptoms. However, during triage, the priority is to stabilize the patient. A cure for the underlying condition is worthless if the patient dies before it can be administered. Proactive data quality is the best practice. Root cause analysis, business process improvement, and defect prevention will always be more effective than the endlessly vicious cycle of reactive data cleansing. A data governance framework is necessary for proactive data quality to be successful. Patience and understanding are also necessary. Proactive data quality requires a strategic organizational transformation that will not happen easily or quickly. Even when not facing an immediate crisis, the reality is that reactive data quality will occasionally be a necessary evil that is used to correct today's problems while proactive data quality is busy trying to prevent tomorrow's problems. Just like any complex problem, data quality has no fast and easy solution. Fundamentally, a hybrid discipline is required that combines proactive and reactive aspects into an approach that I refer to as Hyperactive Data Quality, which will make the responsibility for managing data quality a daily activity for everyone in your organization. Data is one of the enterprise's most important assets. Data quality is a fundamental success factor for the decision-critical information that drives the tactical and strategic initiatives essential to the enterprise's mission to survive and thrive in today's highly competitive and rapidly evolving marketplace. When the results of these initiatives don't meet expectations, analysis often reveals poor data quality is a root cause. Projects are launched to understand and remediate this problem by establishing enterprise-wide data quality standards. However, a common issue is a lack of understanding about what I refer to as the Data-Information Continuum. In physics, the Space-Time Continuum explains that space and time are interrelated entities forming a single continuum. In classical mechanics, the passage of time can be considered a constant for all observers of spatial objects in motion. In relativistic contexts, the passage of time is a variable changing for each specific observer of spatial objects in motion. Data and information are also interrelated entities forming a single continuum. It is crucial to understand how they are different and how they relate. I like using the Dragnet definition for data – it is “just the facts” collected as an abstract description of the real-world entities that the enterprise does business with (e.g. customers, vendors, suppliers). A common data quality definition is fitness for the purpose of use. A common challenge is data has multiple uses, each with its own fitness requirements. I like to view each intended use as the information that is derived from data, defining information as data in use or data in action. Data could be considered a constant while information is a variable that redefines data for each specific use. Data is not truly a constant since it is constantly changing. However, information is still derived from data and many different derivations can be performed while data is in the same state (i.e. before it changes again). Quality within the Data-Information Continuum has both objective and subjective dimensions. Data's quality must be objectively measured separate from its many uses. Enterprise-wide data quality standards must provide a highest common denominator for all business units to use as an objective data foundation for their specific tactical and strategic initiatives. Raw data extracted directly from its sources must be profiled, analyzed, transformed, cleansed, documented and monitored by data quality processes designed to provide and maintain universal data sources for the enterprise's information needs. At this phase, the manipulations of raw data by these processes must be limited to objective standards and not be customized for any subjective use. Information's quality can only be subjectively measured according to its specific use. Information quality standards are not enterprise-wide, they are customized to a specific business unit or initiative. However, all business units and initiatives must begin defining their information quality standards by using the enterprise-wide data quality standards as a foundation. This approach allows leveraging a consistent enterprise understanding of data while also deriving the information necessary for the day-to-day operation of each business unit and initiative. A common objection to separating quality standards into objective data quality and subjective information quality is the enterprise's significant interest in creating what is commonly referred to as a single version of the truth. There is a significant difference between data and information and therefore a significant difference between data quality and information quality. Many data quality projects are in fact implementations of information quality customized to the specific business unit or initiative that is funding the project. Although these projects can achieve some initial success, they encounter failures in later iterations and phases when information quality standards try to act as enterprise-wide data quality standards. Significant time and money can be wasted by not understanding the Data-Information Continuum. In economics, the term "flight to quality" describes the aftermath of a financial crisis (e.g. a stock market crash) when people become highly risk-averse and move their money into safer, more reliable investments. A similar "flight to data quality" can occur in the aftermath of an event when poor data quality negatively impacted decision-critical enterprise information. Some examples include a customer service nightmare, a regulatory compliance failure or a financial reporting scandal. Whatever the triggering event, a common response is data quality suddenly becomes prioritized as a critical issue and an enterprise information initiative is launched. Congratulations! You've realized (albeit the hard way) that this "data quality thing" is really important. Now what are you going to do about it? How are you going to attempt to actually solve the problem? The alternative is to reduce the pollutant at the point source - the factories. The contrast between the two approaches is stark. In the first, the focus is on the lake; in the second, it is on the stream. So too with data. Finding and fixing errors focuses on the database and data that have already been created. Preventing errors focuses on the business processes and future data." A "flight to data quality" usually prompts an approach commonly referred to as Reactive Data Quality (i.e. "cleaning the lake" to use Redman's excellent analogy). The majority of enterprise information initiatives are reactive. The focus is typically on finding and fixing the problems with existing data in an operational data store (ODS), enterprise data warehouse (EDW) or other enterprise information repository. In other words, the focus is on fixing data after it has been extracted from its sources. An obsessive-compulsive quest to find and fix every data quality problem is a laudable but ultimately unachievable pursuit (even for expert "lake cleaners"). Data quality problems can be very insidious and even the best "lake cleaning" process will still produce exceptions. Your process should be designed to identify and report exceptions when they occur. In fact, as a best practice, you should also include the ability to suspend incoming data that contain exceptions for manual review and correction. However, as Redman cautions: "...the problem with being a good lake cleaner is that life never gets better. Indeed, it gets worse as more data...conspire to mean there is more work every day." I tell my clients the only way to guarantee that reactive data quality will be successful is to unplug all the computers so that no one can add new data or modify existing data. "It costs ten times as much to complete a unit of work when the input data are defective (i.e. late, incorrect, missing, etc.) as it does when the input data are perfect." Proactive data quality advocates implementing improved edit controls on data entry screens, enforcing the data quality clause (you have one, right?) of your service level agreements with external data providers, and understanding the business needs of your enterprise information consumers before you deliver data to them. Obviously, it is impossible to truly prevent every problem before it happens. However, the more control that can be enforced where data originates, the better the overall quality will be for enterprise information. Too many enterprise information initiatives fail because they are launched based on a "flight to data quality" response and have the unrealistic perspective that data quality problems can be quickly and easily resolved. However, just like any complex problem, there is no fast and easy solution for data quality. In order to be successful, you must combine aspects of both reactive and proactive data quality in order to create an enterprise-wide best practice that I call Hyperactive Data Quality, which will make the responsibility for managing data quality a daily activity for everyone in your organization. Please share your thoughts and experiences. Is your data quality Reactive, Proactive or Hyperactive?